Available for purchase at Amazon, Barnes and Noble, IndieBound, iBooks, and Kobo. The aviators. The Amtrak. The ice cream cones. The memes. Few politicians are as iconic, or as beloved, as Joe Biden. Now, in The Book of Joe, Biden fans will finally have the definitive look at America’s favorite vice president—and what he can teach us. Structured around key moments in Biden’s life and career—and filled with Biden-isms like “That’s a bunch of malarkey” and “I may be Irish, but I’m not stupid”—this blend of biography, advice, and humor will reveal the experiences that forged Joe Biden, and the lessons we can use in our own lives. Along the way, readers will also encounter fun sidebars on his love of muscle cars, his most endearing gaffes, his bromance with President Obama, and much more. Yet beneath the memorable Biden-isms, the book will reveal an inspirational story of a man who keeps “getting back up.” We need this right now. Much as Biden has come back from both professional missteps and personal heartbreaks, sometimes we all have to get back up and fight. 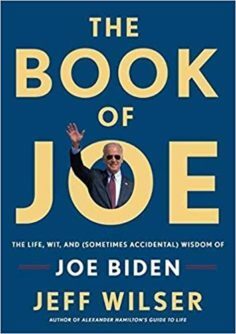 Given Biden’s reputation as a decent, plainspoken, patriotic statesman of integrity, this entertaining and practical book will be both a celebration of great political figure and an essential guide to creating the America he believes in so dearly. Available for purchase at Amazon, Barnes and Noble, IndieBound, iBooks, and Google. Alexander Hamilton mastered the arts of wit, war, women, and wealth. 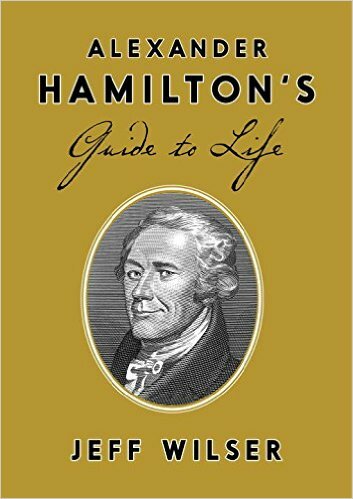 He died before he could teach us these lessons, but Alexander Hamilton’s Guide to Life unlocks his core principles—intended for anyone interested in success, romance, money, or dueling. An exploration of research that points to the health benefits of things like bacon, bourbon, and napping… and the downsides of multivitamins, “low fat,” and kale. Named one of Amazon’s Best Books of the Month in both Non-Fiction and Humor. Featured in GQ, Bon Appétit, NPR, Redbook, the New York Post, and excerpted at New York magazine: The scientific upside of profanity. 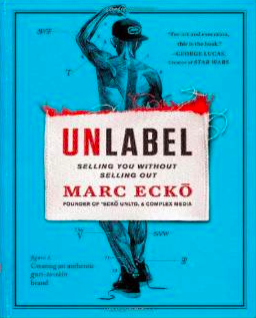 Jeff was Marc Ecko’s collaborator for the book Unlabel. It’s the story of how Ecko, who air-brushed t-shirts in his parents’ garage, flipped a $5,000 bag of cash into a $500 million dollar business. The book is part memoir, part entrepreneur handbook, and part philosophical inquiry into Authenticity in Business. More info at the Kirkus book review, and available on Amazon here. Bestselling collection of essays that cover 100 (tongue-in-cheek) rules for sports, style, family, pop culture, and, basically, everything else in the world. 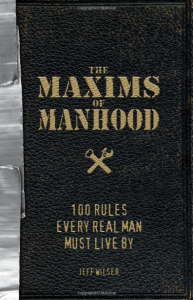 If a man only reads one book in his life, this shouldn’t be it. Maxim 84: Your dog must be larger than a toaster. Maxim 24: No exclamation points or emoticons. Maxim 77: Support your friend’s crappy brand. More at Amazon or Barnes & Noble. This is Jeff’s Pulitzer-bait. 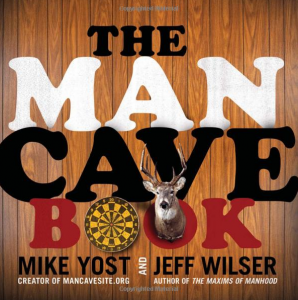 Published by HarperCollins, it explores the bizarre subculture of man caves. 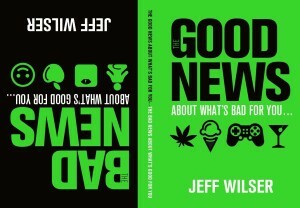 On Amazon, HarperCollins, or Barnes & Noble. 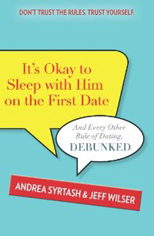 It’s Okay to Sleep with Him on the First Date: And Every Other Rule of Dating, Debunked. Don’t let the title fool you: This is not really a book about hooking up. And it’s not saying that people should hook up on the first date. (That would be shady, gross, weird advice.) Instead, it’s a book about dating rules, and it has a very simple message: dating rules are dumb. Book’s tagline: Don’t trust the rules. Trust yourself. Here’s a review of the book from Publishers Weekly. You can order at Amazon, Barnes & Noble, or Indie Bound.